When you think of the bluebonnet, you think of Texas. The bluebonnet is “not only the state flower but also a kind of floral trademark almost as well known to outsiders as cowboy boots and the Stetson hat,” historian Jack Maguire wrote. The bluebonnet is an annual plant with deep blue flowers. Several species of the plant cover Texas with color from March through May. Even more than its beauty, the bluebonnet’s position as the Texas state emblem has ensured this wildflower a place in the history books. All bluebonnets are members of the Lupinus, or lupine, genus. According to Laura C. Martin’s book, “Wildflower Folklore,” lupinus comes from the Latin word lupus, which means “wolf.” The plant was given that name because it was thought to ravage the soil. Since it is a member of the legume family, though, the opposite is true. Bluebonnets put nitrogen into the soil and leave it more fertile than before. Early in Texas history, Spanish priests gathered bluebonnet seeds and scattered them around their monasteries. This gave rise to the myth that the flower originated in Spain. Actually, the Native Americans wove tales around the bluebonnet long before the Spanish arrived. Not only is the bluebonnet native to the Americas but, according to Texas A&M University, the two predominant species of bluebonnet are found only in Texas and nowhere else in the world. In 1901, the Texas Legislature got serious about selecting a state flower. Options included the cotton boll and the cactus, but the National Society of the Colonial Dames of America in Texas championed the bluebonnet. The Colonial Dames made their case by presenting a painting of bluebonnets by Miss Mode Walker of Austin. 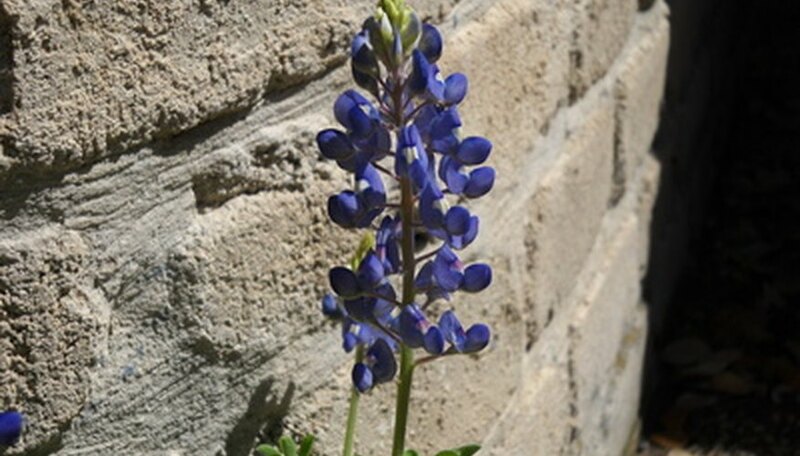 On March 7, 1901, Governor Joseph D. Sayers signed a law making Lupinus subcarnosus the official state flower of Texas. Many Texans favored the more showy Lupinus texensis, though, so the “Bluebonnet War” began as proponents of each species fought verbally to give their favorite bluebonnets a place in history. The Bluebonnet War lasted 70 years. It finally ended on March 8, 1971, when Gov. Preston Smith signed a resolution making both species the official state flowers, along with “any other variety of bluebonnet not heretofore recorded.” Three more species of bluebonnet were later discovered, so Texas now has not one, but five state flowers. The five species are Lupinus subcarnosus, Lupinus texensis, Lupinus Havardii, Lupinus concinnus and Lupinus plattensis. "Wildflower Folklore"; Laura C. Martin; 1984. "Wildflowers: How to Identify in the Wild and How to Grow Them in Your Garden"; Rick Imes; 1992.